My 11 year old and I are trying to start an art journal habit. We are collecting lots of ideas and prompts and trying to work on them a couple of times a week. Our plan is to do lots of fun and easy art activities so we can fill our journals and really enjoy the process without worrying too much about how the finished product looks. 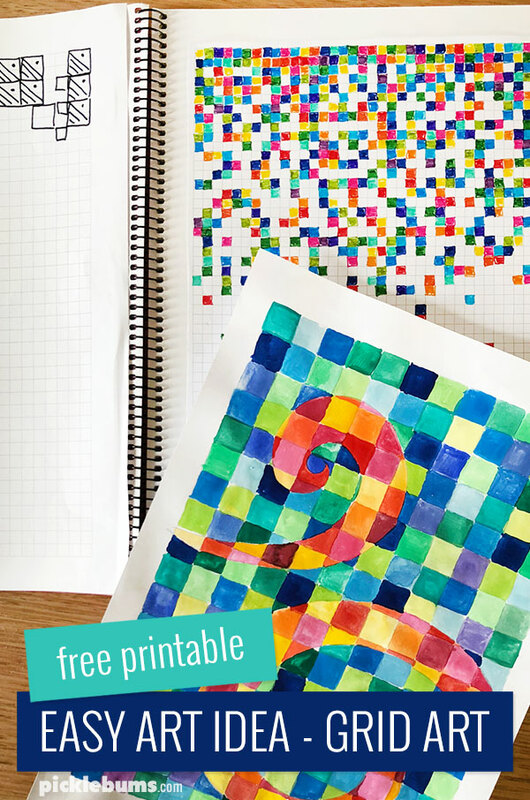 One of the first art journal prompts we’ve tried is this easy grid art idea. 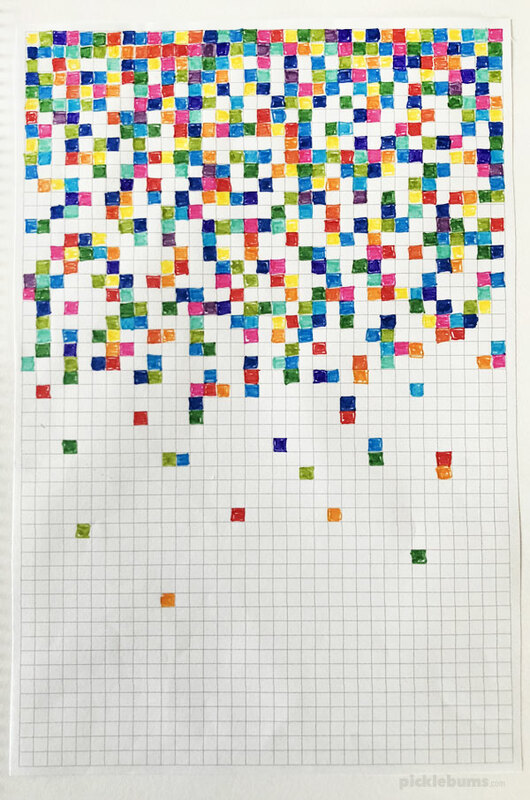 Grid art is exactly what it sounds like, making art from a grid of little squares. 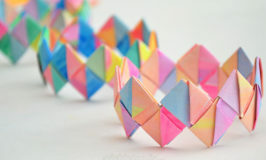 It sounds kind of boring, but this simple art activity can have amazing results. One of the best things about this grid art prompt is that there is no right way to do it. You can use markers, or pencils, or paints or any art medium you like. You can colour in random squares, or make patterns. You can use the grid to make zentangle patterns, or mosaic like pictures. The grid is just a prompt, a starting point, something to spark your creativity! Something to draw or colour with. 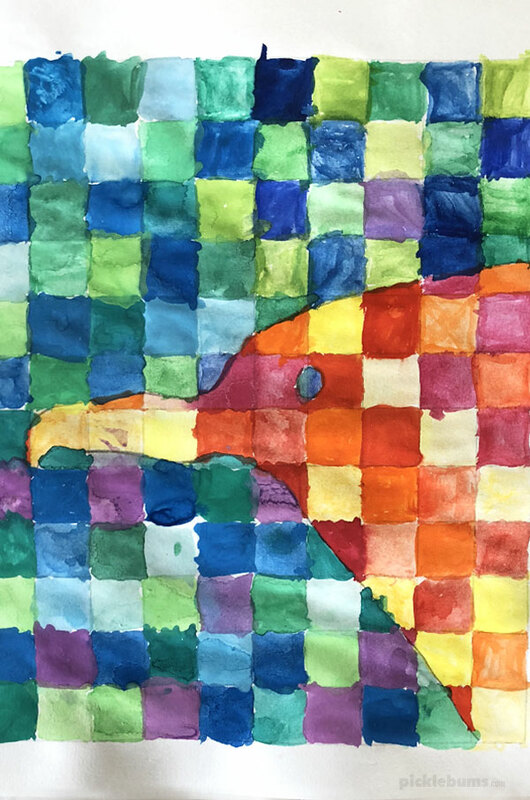 We used markers and watercolour paint for our grid art, but you could also use coloured pencils, highlighter pens, a black marker, watercolour pencils, or anything you like. For younger children a larger 2 cm + grid is a good one to start with. 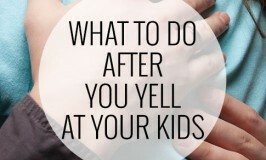 It is quicker to fill in and easier for small hands to manage. Older kids can try a range of sizes, tiny 0.5 cm grids are fun for patterns, and bigger 1.5 cms grids work well with paint. What you do with the grids is totally up to you, but here are some fun ideas to try. Make simple patterns by colouring in squares – repeat your four favourite colours over and over again. 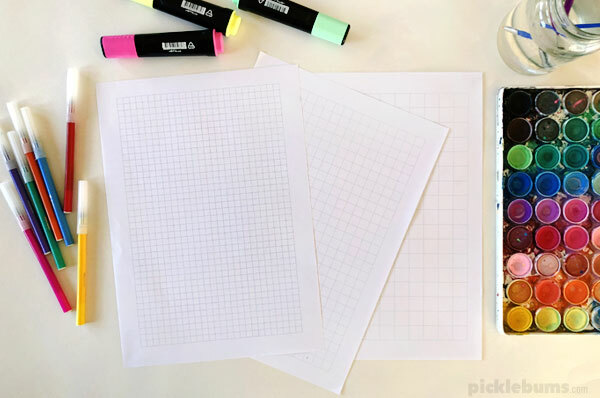 Or just let little ones colour and explore the grids like we did with this graph paper drawing activity. Make pixel art – Search up perler bead patterns for some ideas or come up with your own. Use the grid as a base for zentangling – searching for ‘easy zentangle squares’ will give you lots of ideas. 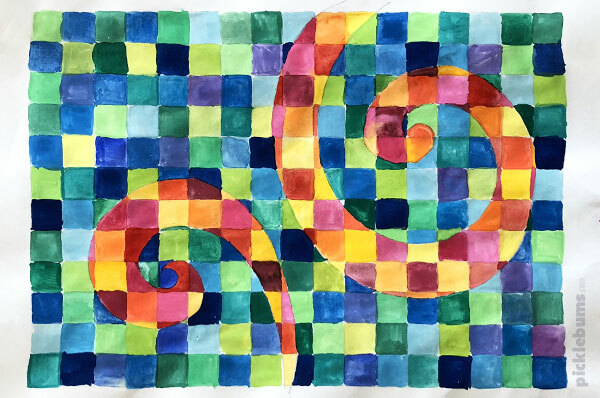 Create a complex repeating pattern – check out this art lesson for ideas. Use quilting patterns to make a paper quilt. 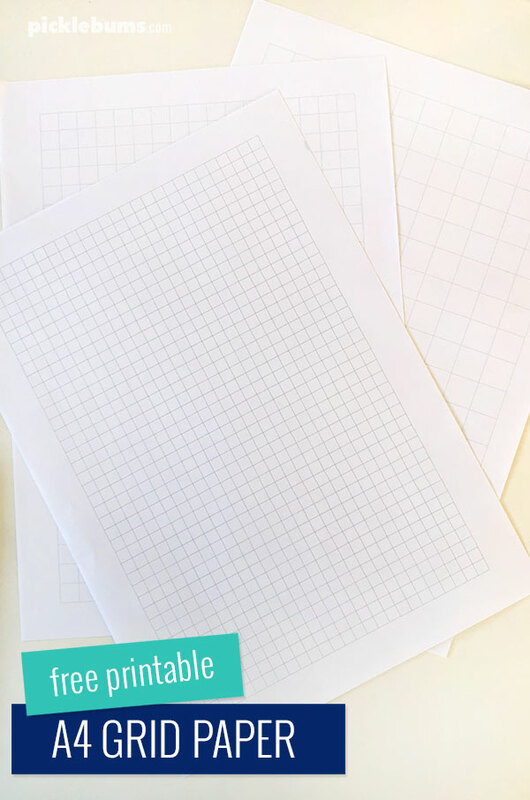 If you’d like to do some grid art you can download our free printable grid paper below. You can download the 2 cm grid paper here. These printables are A4 sized pdf files, you will need a pdf reader such as adobe acrobat to open them. If you are printing on US ‘letter sized’ paper be sure to select ‘fit’ or ‘shrink to fit’ from your printer options. Please remember that the printables at picklebums.com are for personal use only, you may not sell, share, or link directly to these files. Do you or your kids have an art journal? We’d love to see some pages of your art journal! If share a photo on instagram tag me @picklebums so we can check it out!